Now ask for as low as just one customized session (1 hour online session) from qcfinance.in at $15/hr Onsite at $25/hr. Instructor led onsite VBA Class offers Excel classes in NYC for beginners, advanced Excel training, and Excel VBA training courses. 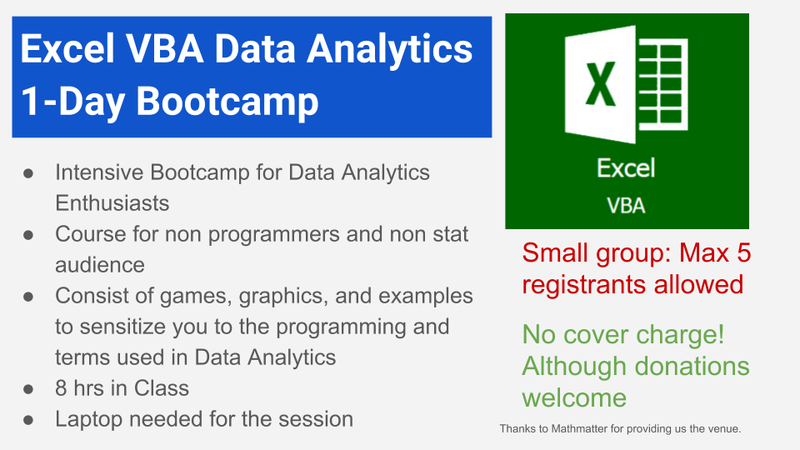 Email or Call VBA Class to learn more about Excel. We offer onsite lessons in NY and have tutors who are working with our team to be available in New York City, including Manhattan and also uptown. VBA Private Training We recognize that many clients have one-time projects for which they need specific assistance. Excel Training NYC offers private VBA training upon request. Hourly rates start at $30 (mixed of online and on location). More hours would qualify for a discount! These are mixed rates for onsite and online mix in New York / Manhattan areas. We Serving New York and surrounding area. A part of classes is taken onsite at a location in New York, a part online with the help of offshore team, and most of assignments are executed on your own system. One-on-one Live interactive classes with instructor. 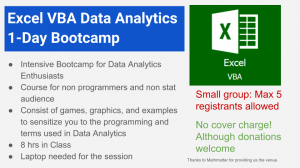 Develop a strong base in Excel VBA. Learn from an experienced faculty. 40% classes to be taken by guest faculty. Excel Macros makes complex computations easier. It records your keystrokes and also reduces the possibility of human error. It reduces the amount of time, freeing users up for solving complex problems and idea-generating activities. This course will teach you how to use Excel Macros. It will cover various fundamentals of the Excel VBA which will enhance your technical skills. Through this course, you will learn new interpretation & terminologies with examples of real data. The course package includes study notes in form of documents for future reference. Note: The course starts immediately after the learner’s enrollment. Study material includes formula sheet, video tutorials, presentations, notes and test for better understanding of the concepts. One-on-one sessions will focus on the weak areas of the individual. Understand the essential features of Macros. Shivgan Joshi is an expert trainer in the field of Finance, and holds a, MBA Israel, PGDF (Post Grad Diploma in Finance) from Business India Institute of Finance, New Delhi, PG dIp in IT, MS IS. He has cleared CFA Level 1, FRM. He has been preparing students for Analytics for the past five years and has taken over 500 onsite and online classes. A resident of Indore, India, he has published research in top journals like IEEE, LNCS Springer etc. He also writes a popular blog, Stock Credit Finance CFA on Blogspot.com, and you can visit it to learn more about the world of finance. Note: If you miss a scheduled one on one class, then don’t worry, you can reschedule it at your convenient time & the missed class won’t be counted. You may defer a class generally without qany charge. Also, you get life time access to materials which gets constantly updated.